The discussion about the legal status of tokens and, in particular, whether and when a token is a security or other financial instrument, is still gaining momentum. There are more and more proposals around this discussion that resolve this issue at the outset, recognising that tokens are intended to become securities. These are so-called security tokens, and the issues are sometimes called security token offerings (STOs). This is an example of the trend of so-called tokenisation, i.e. giving various assets the form of a token or linking assets to tokens in various ways, using both legal and technological tools. Initiatives that not only seek to tokenise certain securities, but also create market technology standards for security tokens—often open-source—are growing rapidly. For these and other reasons, we are witnessing the first STOs structured in the European Union, e.g. within the scope of exemptions possible under the new Prospectus Regulation. There is also no shortage of companies trying to create fully regulated secondary trading markets for such instruments. 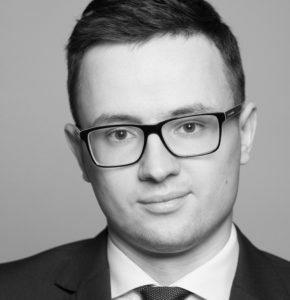 In Poland, the bill introducing a new type of company into the Polish legal system, the “simple stock company” (prosta spółka akcyjna—PSA), triggered many interesting reflections on security tokens. According to the original draft, the ledger of shares in a PSA could also be kept in a “distributed and decentralised database which ensures the security of the data contained there and the proper performance of the duties of the entity keeping the record.” This is a small step, but it jogged minds and inspired a number of ideas about the possibility of tokenisation of shares in a PSA using this provision (more here). Although another provision of the bill states that the shares in a PSA could not be subject to organised trading within the meaning of financial instruments regulations, which would eliminate some of the advantages of security tokens mentioned above, the proposal goes in the right direction to create innovative opportunities for Polish startups, especially regarding the possibility of obtaining financing. Will security tokens gain more market interest? The situation is similar to most other blockchain applications: time will tell. Previous post Previous post: Will Facebook think twice before it removes content?